The Reptile House is home to several snake species including impressive cobras and pythons. 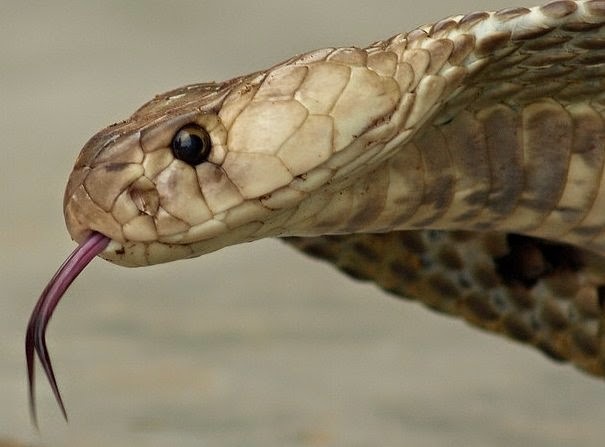 The cobra can grow up to 1.5m long and is the longest venomous snake in the world. 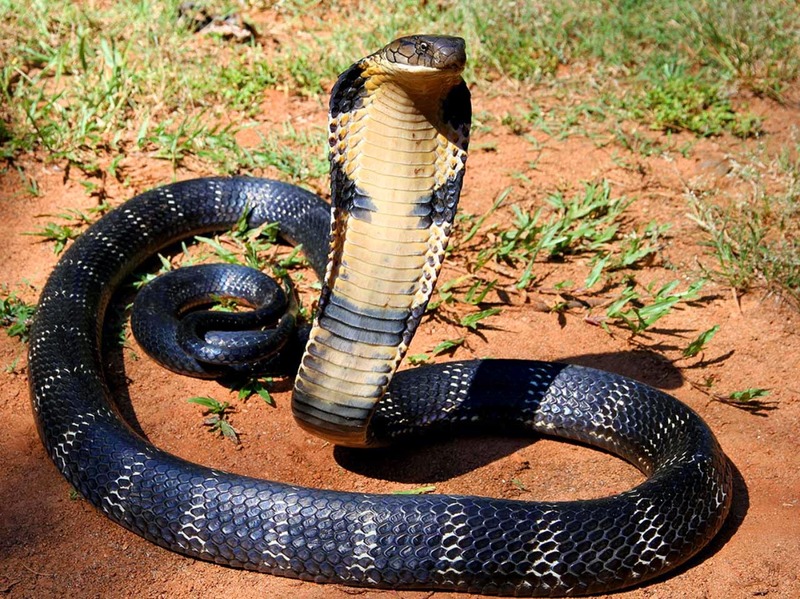 Even without its venom, the King Cobra can be a terrifying sight when it flares the specialized muscles and ribs in the neck to create a hood around its head. Coupled with its ability to raise itself up to one-third its body length and hiss loudly, that is one creature you will definitely not want to provoke. While the king cobra attacks at lighting speed, the reticulated python ambush its prey by grabbing them and immediately coiling its body around the prey and squeezing it will it suffocates. It will then swallow its meal whole head first. Because they are so bulky the reticulated python often hunts on the ground and not by leaping onto their prey from tree branches. Blood pythons get their name from their body colouration which ranges from washed out to blood red over a tan body. 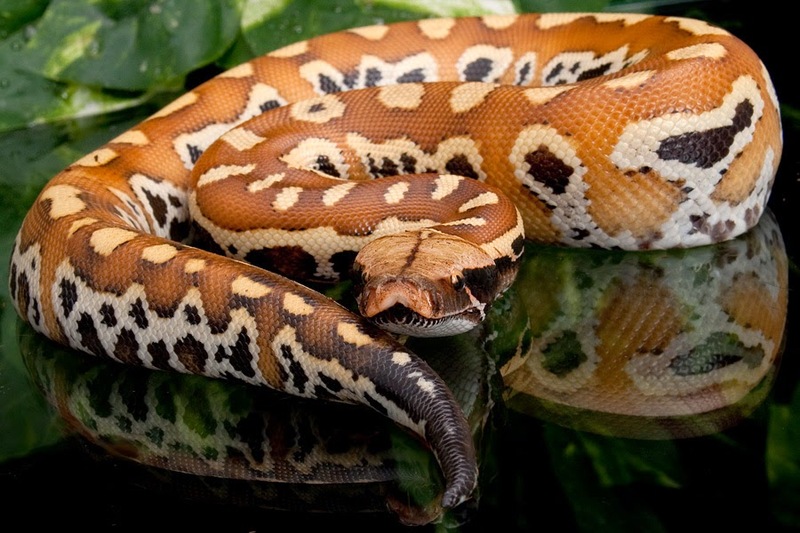 Although shorter than most python species, it tends to weigh more because of its thick body.